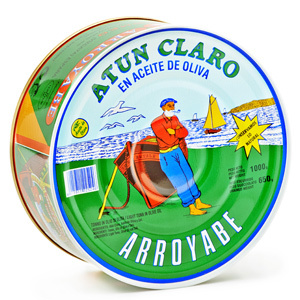 Premium Canned Tuna, made by experienced hands who select the best pieces to give our customers the highest quality. 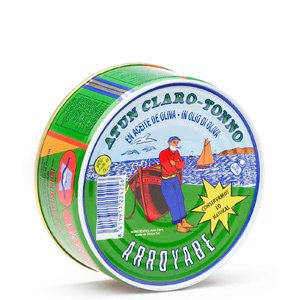 Its elaboration follows a meticulous traditional process, paying careful attention to every detail of the products we make, enabling us to provide best quality canned tuna. Yellowfin Tuna (Thunnus Albacares), together with White Tuna is considered a premium tuna because of its refined taste and smooth texture. It has a bit stronger flavour than white tuna and its colour is a little redder. 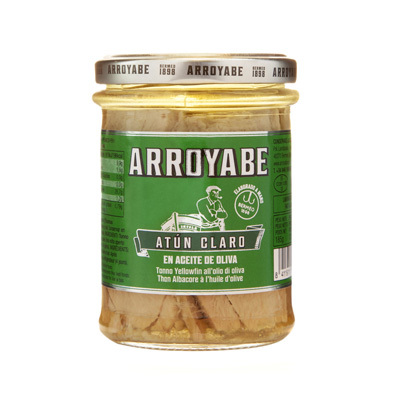 At our online store you may shop canned tuna in olive oil, sunflower oil, pickled sauce or in water, both in glass jars and cans. Yellowfin Tuna belly in olive oil 111 gr. Yellowfin Tuna in olive oil glass jar 212 gr. 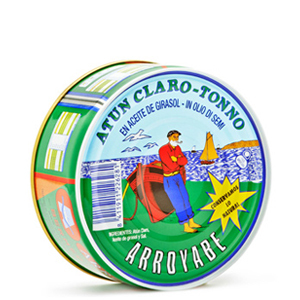 Yellowfin Tuna in olive oil glass jar 250 gr. Yellowfin Tuna in water glass jar 250 gr. Yellowfin Tuna in olive oil glass jar 314 gr. 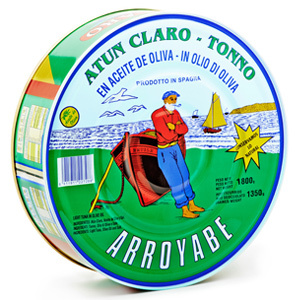 Yellowfin Tuna belly in olive oil can 1 kg. Fillets of Yellowfin Tuna in olive oil 1800 gr. Traditional fish canning on the Cantabrian coast is a long-standing tradition that dates back to the nineteenth century. 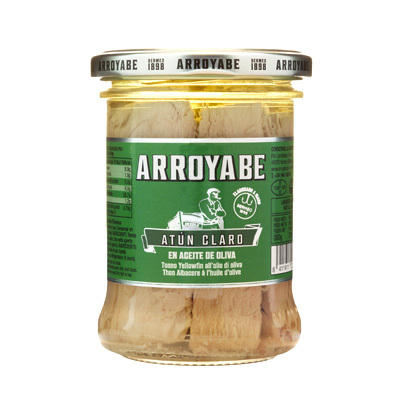 Although the most popular fish species in the Basque Country are white tuna (Bonito del Norte) and Cantabrian anchovies, other tuna species such as the Yellowfin (Thunnus Albacares) follow the same artisan elaboration process. 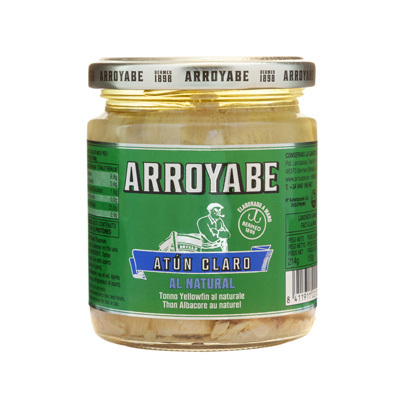 This traditional preparation of canned tuna enhances the quality, texture, flavour, and appearance of yellowfin tuna preserves. Together with white tuna or albacore, Yellowfin tuna is considered of highest quality among tuna species. 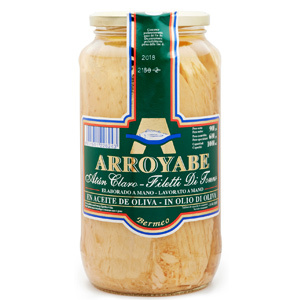 Adding olive oil to our preserves, they result in a smooth texture and flavor not found in most canned tuna products. 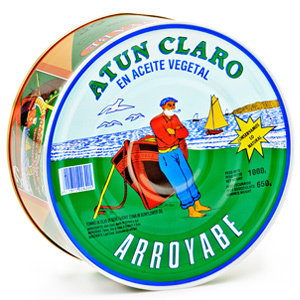 In our canned tuna range you will always find best quality raw materials and you will find entire pieces of tuna. Just serve them on slices of bread or toast. You may also add some piquillo peppers, chilli or finely chopped spring onions. 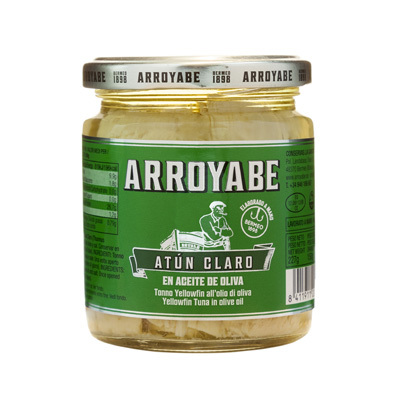 Pickled sauce or escabeche is a popular sauce in Spain that is made by mixing olive oil and vinegar. Its flavor will take you to the origins of canned tuna, as it was the basis of tuna preservation before the discovery of sterilization. 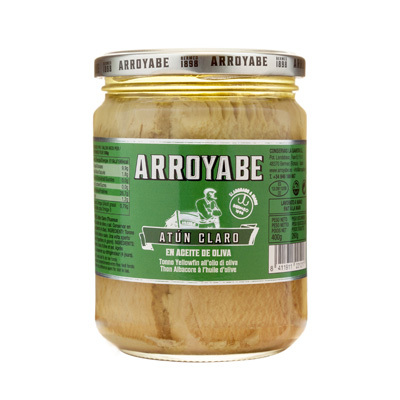 Catalan sauce (or sauce) is a variant of escabeche, which is widely consumed in the Mediterranean coast. Since companys beginnings, offering solutions for the whole food service has been our strength. This consists of cans and glass jars of one kilo or more. 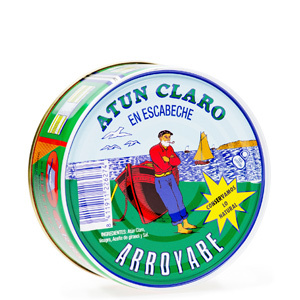 You will find a wide variety of canned tuna for food service at our product catalog. 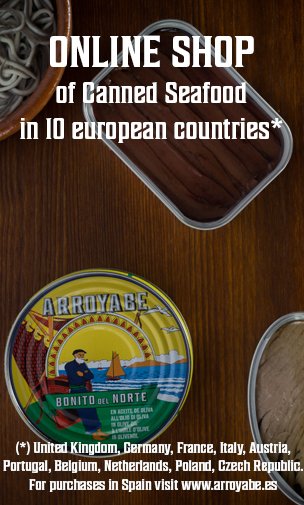 Our online shop offers the possibility to buy canned tuna in 10 European countries: United Kingdom, Germany, France, Italy, Austria, Belgium, Netherlands, Portugal, Czech Republic and Poland. 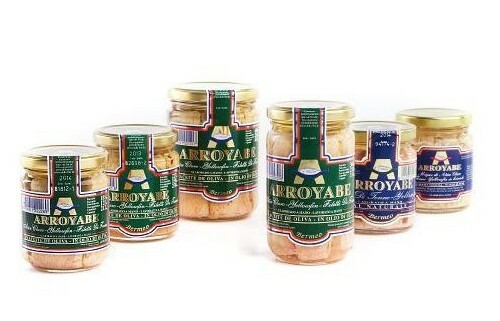 (for purchases in Spain, please visit www.arroyabe.es). Free shipping over 150. 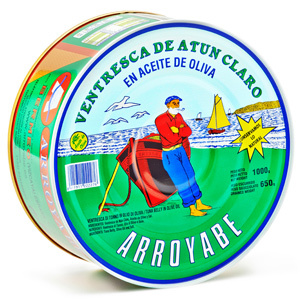 If you are interested in our canned tuna range please contact us at info@arroyabe.com. 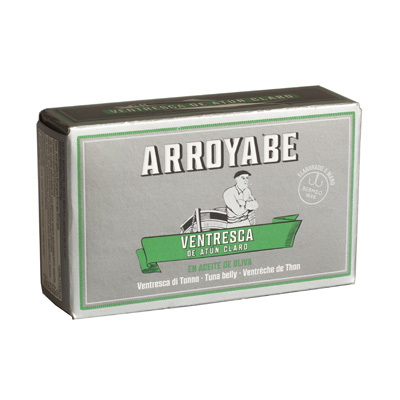 Want to distribute Arroyabe products?